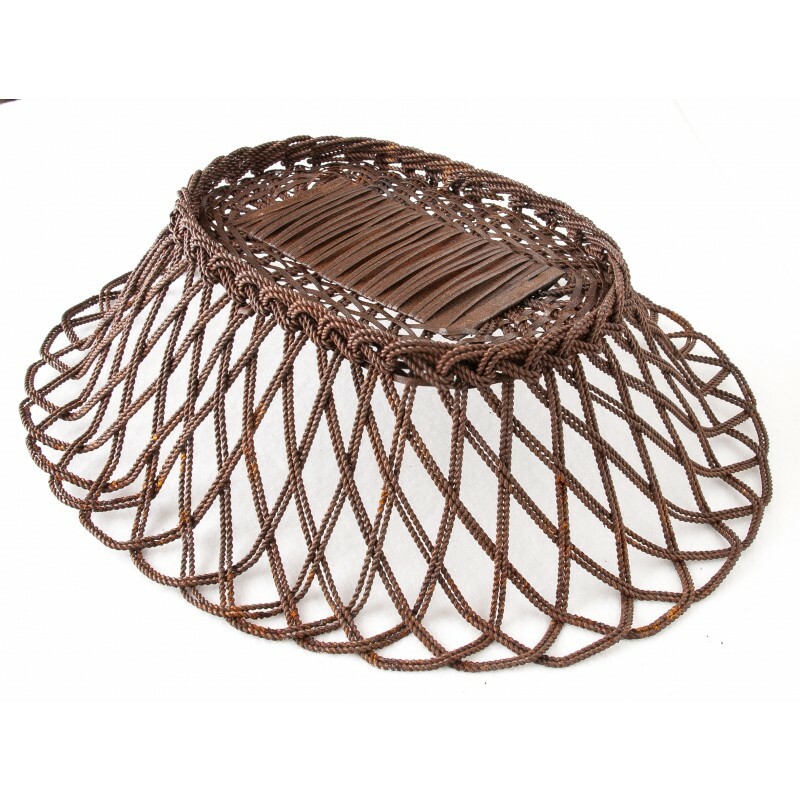 Old, wire and metal ribbon basket. The wire is twisted and braided into large crossing loops. The bottom has the metal ribbon in an oval basketweave pattern. 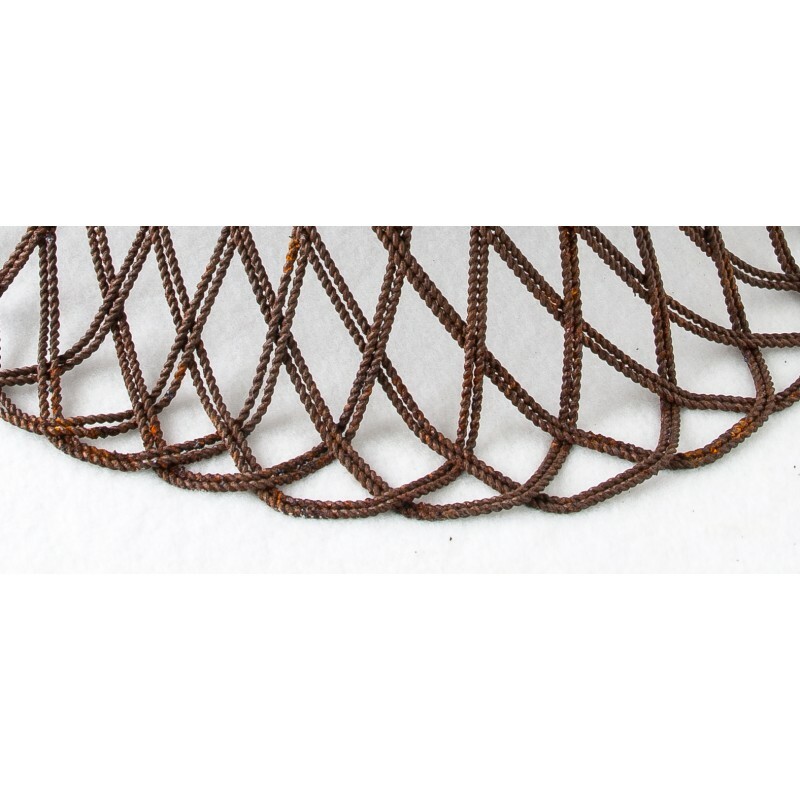 The looped sides cross the center and are banded over with the metal ribbon. 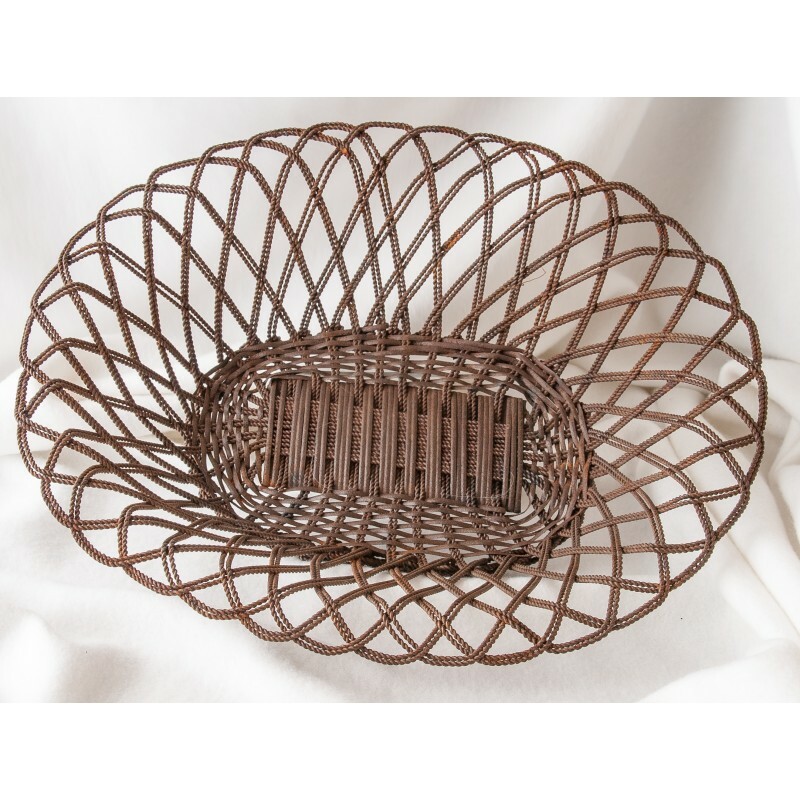 The entire basket is very well oxidized. 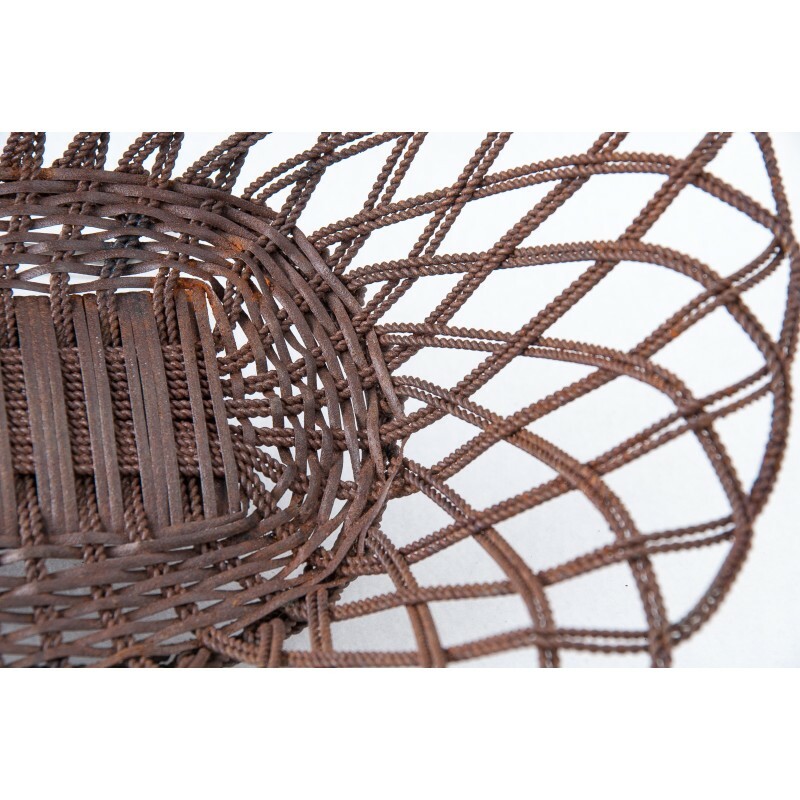 There are spots of corrosion around the top rim – a good wire brush cleaning will minimize that. 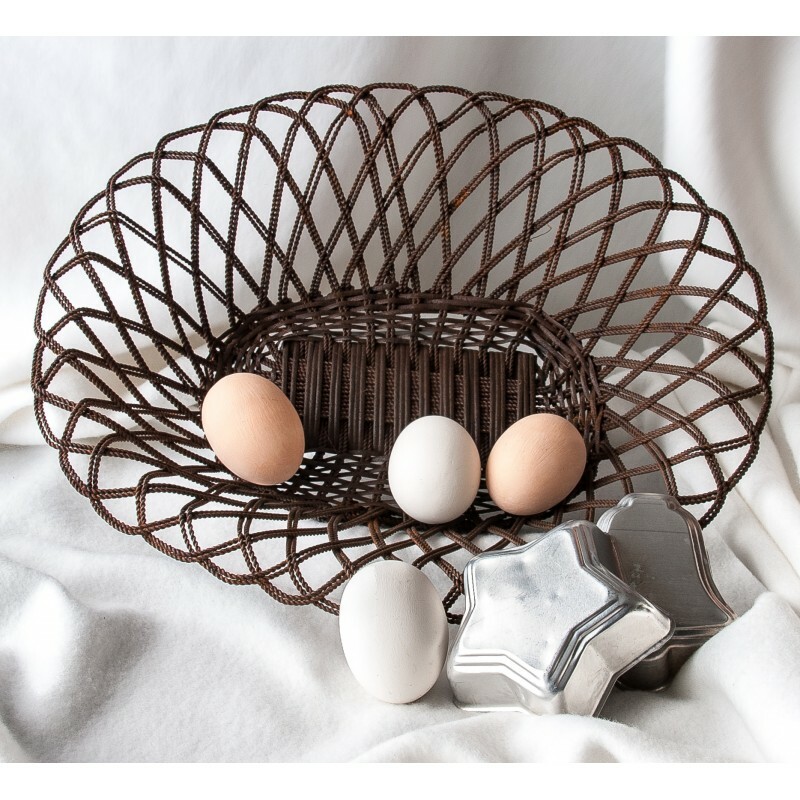 This basket, lined with white linen and filled with good things to eat, will compliment your country cottage decor.